I love this hip snack tray made out of a vintage vinyl record. It is great for chips, candy or any other kind of party goodies. You can purchase it at Elsewares for just $26. 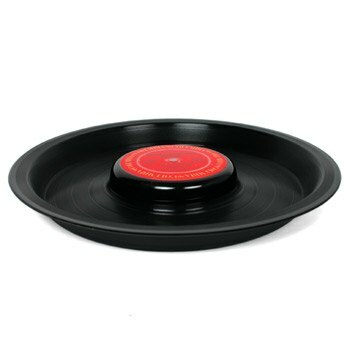 While you’re at it, pick up these great Vinyl Record coasters to match the snack tray! You can even choose the genre of music record that you want. This would be a great gift for the music junkie in your life! For a fancy dinner party, or just a family meal, you can have butter that stays the perfect temperature. 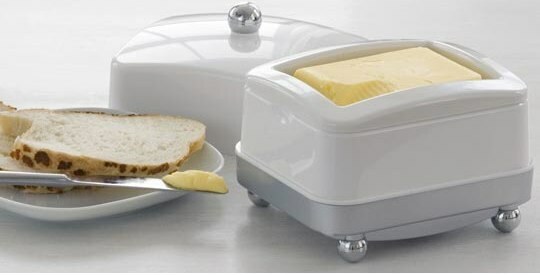 The Butter Wizard can either heat or cool your butter, based on what you would prefer. It sits on a charging station and plugs into a power station. It will run you around $60, but you can choose your own color to match your decor! Wow oh wow this makes my mouth water! I love doughnuts, who doesn’t love doughnuts? I have heard of people making their own doughnuts, but I haven’t ever tried it. 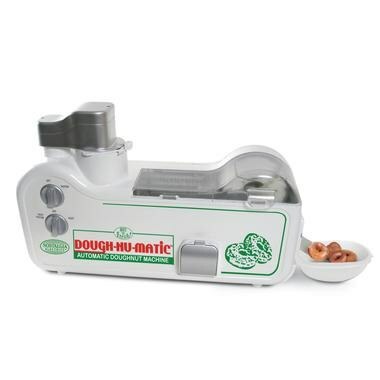 This handy little Dough-nu-Matic makes it easy to cook your own doughnuts at home. All you have to do is add the dough and you can have a dozen doughnuts in under 6 minutes! This takes playing with your food to a whole new level. When I was young, I LOVED my Plah-Doh spaghetti maker, so of course I love this new kitchen gadget. 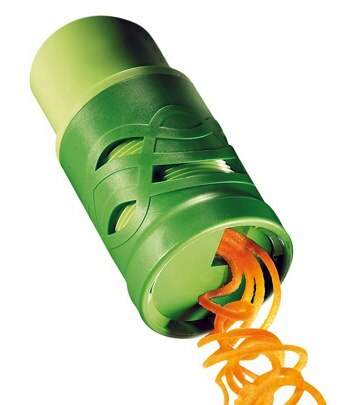 You can use almost any type of vegetable in the Vegetable Twister. It can turn your boring meal into a piece of art. Mmmm I can just taste some lovely sweet potatoes twirls! Want to be the coolest person at your next party? 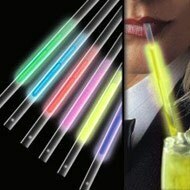 Try these new Glow Stick Straws. The straw is crimped at each end, to hold in a glow stick. When you drink, the glow stick moves up and down. For $8 for 6 assorted colors, this is just too fun to pass up.